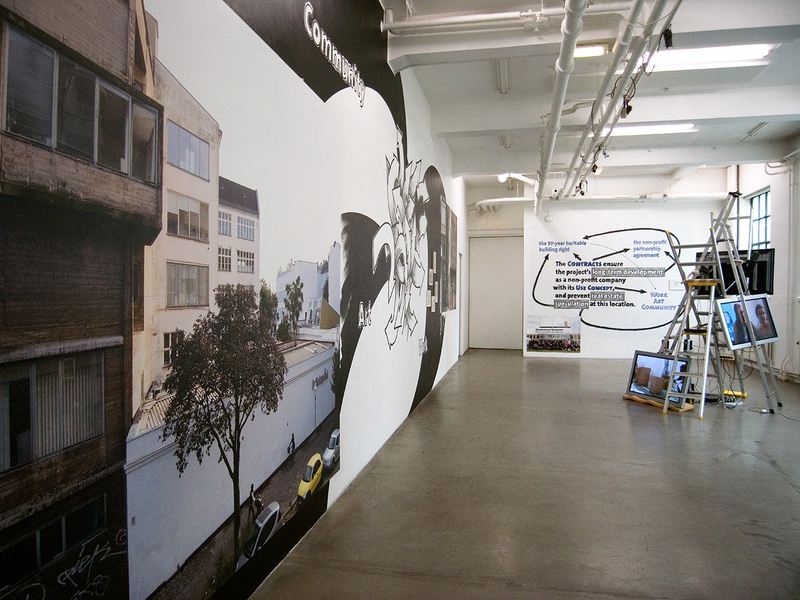 The exhibition Our Place / ExRotaprint Berlin – Urban Activism as Artistic Practice kicks off a series of events at 0047dedicated to alternative bottom-up planning, namely in the field of creative culture, and participatory urban rehabilitation projects. ExRotaprint, an abandoned manufacturing site in the former working-class district Berlin Wedding, is initiated and driven by artists Les Schliesser and Daniela Brahm; a redevelopment project created from the viewpoint of art. As a social sculpture, it links the potential of its spectacular architecture with the local needs of a socially marginalized area, devoting aesthetic quality into socio-political activities. Over the past few years, the collaborative work on ExRotaprint has expanded into the artistic practice of Daniela Brahm and Les Schliesser. 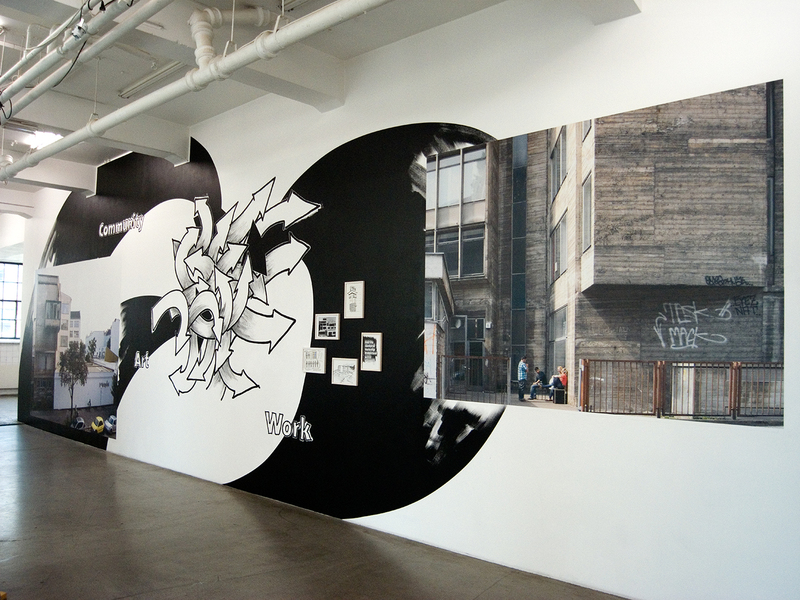 Within our exhibition, they transform the urban redevelopment project into a monumental installation, encompassing wall drawings, film and sculptural interventions. 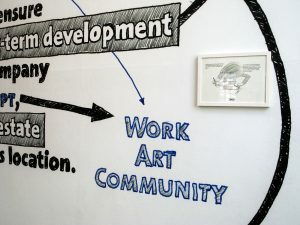 Resulting from that, artists are more and more reflecting urban planning in their works, involving themselves in urban protest movements and even developing alternative models of rehabilitation. 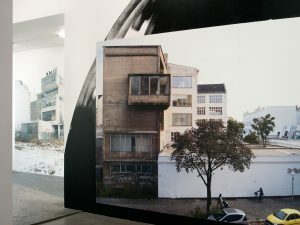 One of the most striking initiatives in the field of urban activism as artistic practice is ExRotaprint, a project set off in 2005 by a Daniela Brahm and Les Schliesser, who had been renting studio spaces in the breath-taking late modernist complex of the former Rotaprint factory in Berlin. The project was triggered by the location’s general lack of prospects while stuck in the redevelopment line, and the state of disrepair the site had fallen into over the years as a result. At the outset, the success of this large scale bottom-up redevelopment project was entirely uncertain. 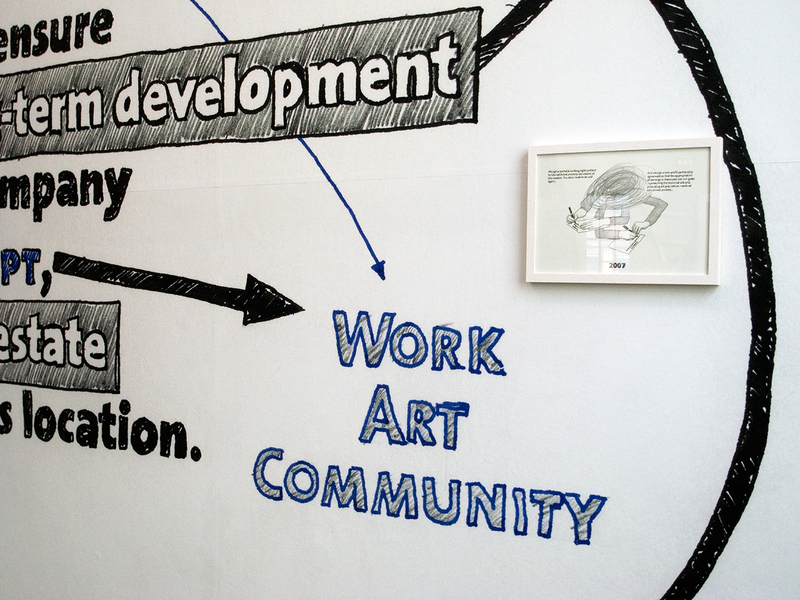 Initiated by the artists, a renters’ association was founded with the goal to purchase the property. After successful negotiations with the owner, the City of Berlin, the non-profit ExRotaprint gGmbH was created from the association, which today owns the buildings by heritable building right and is responsible for its development. The Non-profit status dispels the conflict over partial ownership and allows for planning unencumbered by individual interests. 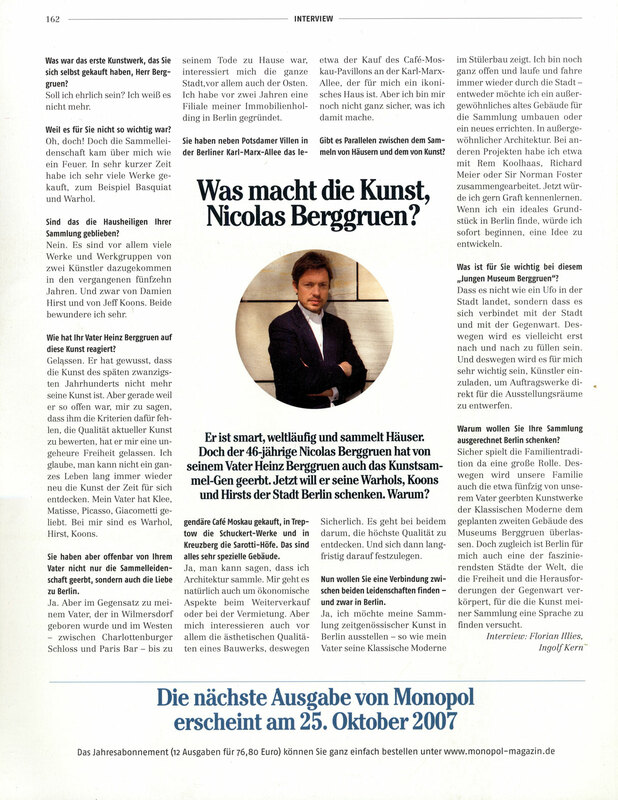 ExRotaprint gGmbH disrupts the speculation-spiral of the real estate market and partners do not profit from the income generated by the property and cannot realize any increase in value from a sale of their stake in the partnership. Thus a long-term and stable location is created that can be developed on its own terms. 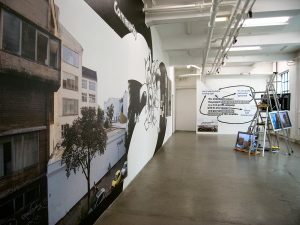 Within the exhibition and the upcoming series of events we aim not only to discuss problems resulting from urban renewal and gentrification, but taking these processes as a starting point for an survey on the question, what are our possibilities to use the given urban structures in a creative, or even subversive way.